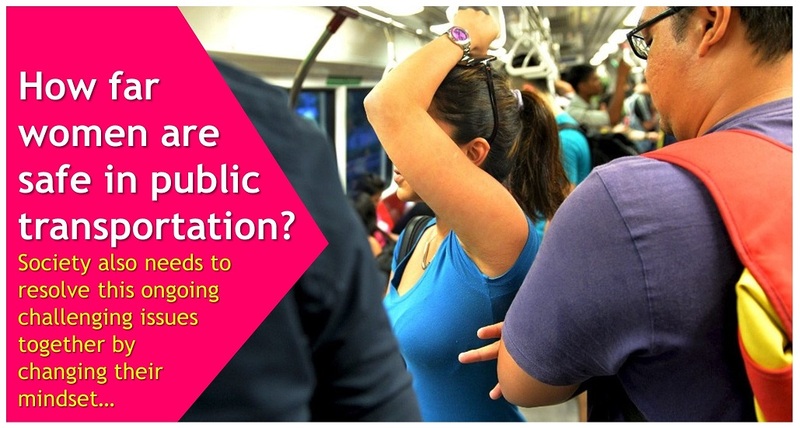 Home Latest Articles How far women are safe in public transportation in India? Transportation is also important part of society which facilitates people to work in their respective field without any hurdle. Urban transportation has made easy to convert our cities into smart city, smart way of life. Such movement has changed the way people live and travel. Transportation has facilitated the life of women in very large scale. Women safety has become one of the challenging issues for Transport Industries. There is no doubt that transportation has played crucial role in human general life. As per 2011 India Census, numbers of working women in urban India who travel to work, 45 per cent of them go on foot to their workplaces, while only 27 per cent of men walk to their jobs and 22 per cent of women undertake the journey to work by bus, the corresponding figure for men is only 14 per cent. But when it comes to women safety, the big question arises. Does transport Industries provides women safety? At some extent all transport Industries have work for women safety. Installation of CCTV Cameras and Live GPS Tracking, Reserving First Coach for ladies in Metro, Operating special Ladies Buses and dedicated cab fleet (She Taxi), Creation of Safety Apps (Himmat – Delhi Police), Separated sections for women in the buses and reserved seats, Pink buses by Up government, separate coach for women and men in all RTC buses in Andhra Pradesh. According to National Crime Records Bureau of 2011, in every 51 minutes, a woman faces harassment or assault in India’s public spaces, Staggering numbers of reported and unreported cases of violence and harassment make transportation difficult and dangerous for women and girls, especially after dark. We are living in such era where women have achieved highest level of success; even we can say that their achievement has been at larger scale than man. Then why women are not safe in such developing era? To read more articles on challenges and solutions in urban public transport please subscribe Metro Rail News Magazine.